We are hot on the tails of the release of several big-name Android flagship phones. These devices will carry the torch for their respective companies for most of this year. Whenever a new crop of devices gets launched a flood of new users enter the Android world. 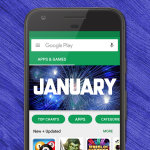 One of the first things new users will do is search the Google Play Store for apps to download. If you’re a grizzled veteran Android user you’re well aware of the best apps, but new users have no clue. The Play Store can seem like a giant ocean of choices. Consider this your lifeboat. 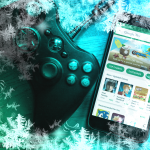 We have compiled a list of the best apps in a variety of categories for new Android users to download. Some of these choices are obvious, others are a little less well-known. Download these apps and you’ll be off to a great start. If the official Twitter app isn’t good enough for you there are plenty of other options available. 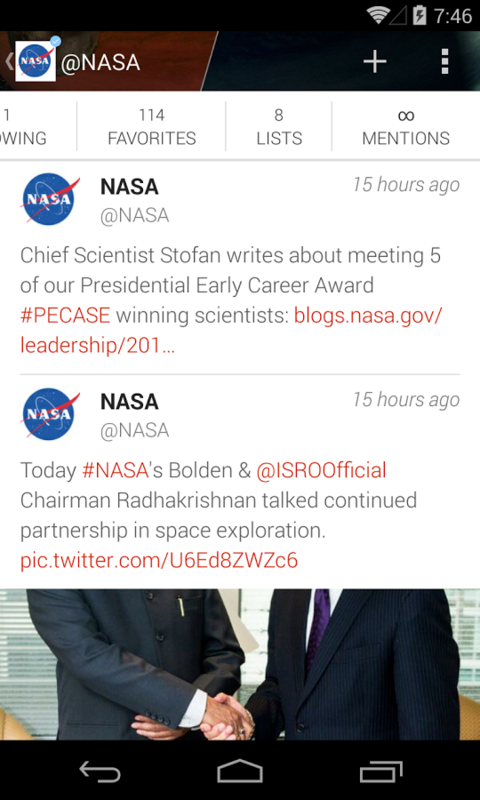 One of the best paid Twitter apps is called Fenix. 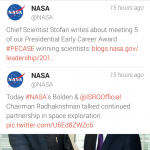 This app is packed with tons of features you won’t find in other Twitter apps. It has real-time updates, clickable links in the timeline to save clicks, awesome conversation layout, multiple account support, and much more. The easiest way to create and share quick videos is Vine. 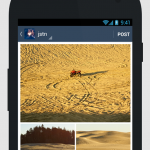 With this app you can easily make 6-second videos to share with your social networks. Vine is also has a fun community filled with extremely talented and creative people. Vine works best if you have a Twitter account, but it’s not necessary. If you are into blogging you have probably heard of Tumblr. This services makes it super easy to set up and use a blog. Think of it like the spawn of Twitter and WordPress. The official Tumblr app is great for checking up on the blogs you follow, and adding posts to your own blogs. 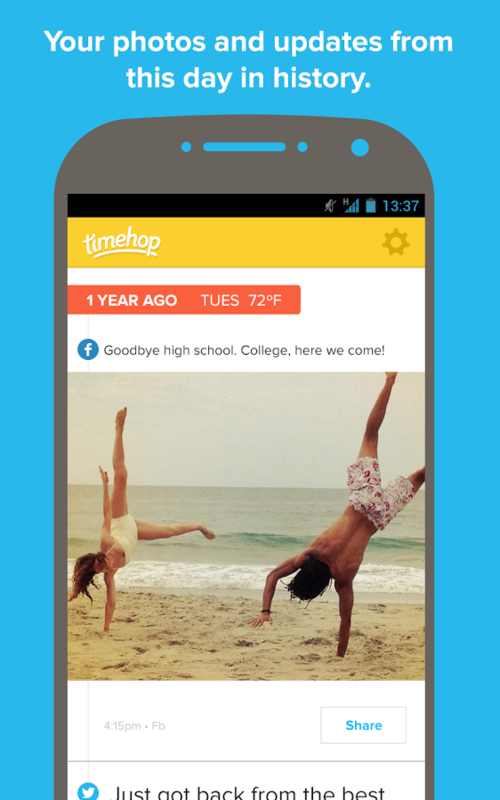 This app is a fun way to travel back in time through your social media. Ever wonder what you were tweeting about a year ago? Or what you were doing on Facebook when you first started? 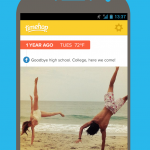 With this app you can take a trip down memory lane though almost all of your social networks. It has a beautiful design and is very easy to set up and use. In many ways this can be considered the ultimate Android app. 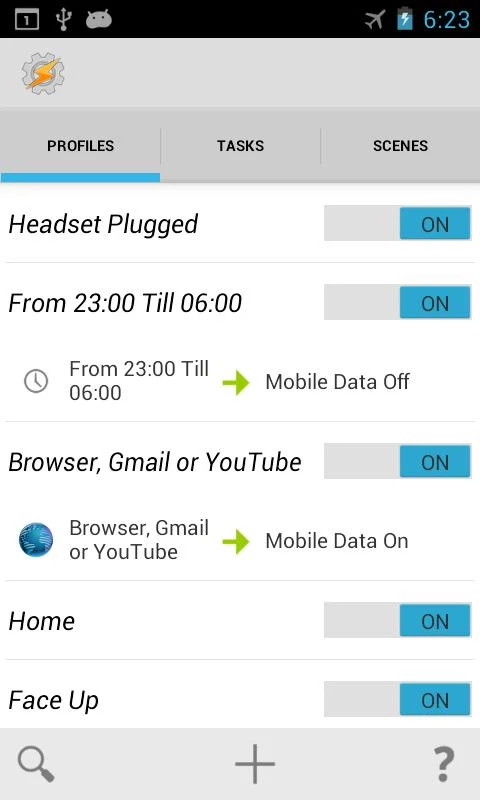 Tasker can do things that apps on other operating systems wish they could do. Simply put, Tasker can automate almost anything for you. 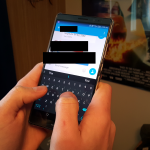 You can have texts read aloud when you’re driving, send a text when you leave the office, or even take a photo of someone trying to unlock your phone. The only limit is your imagination. 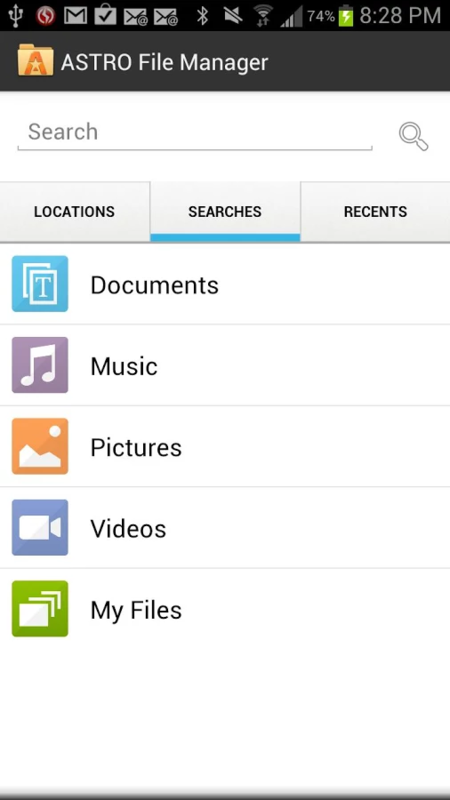 Now that you have an Android device you’re going to need a file manager. ASTRO makes accessing your files very simple, and it even integrates with popular cloud storage services. 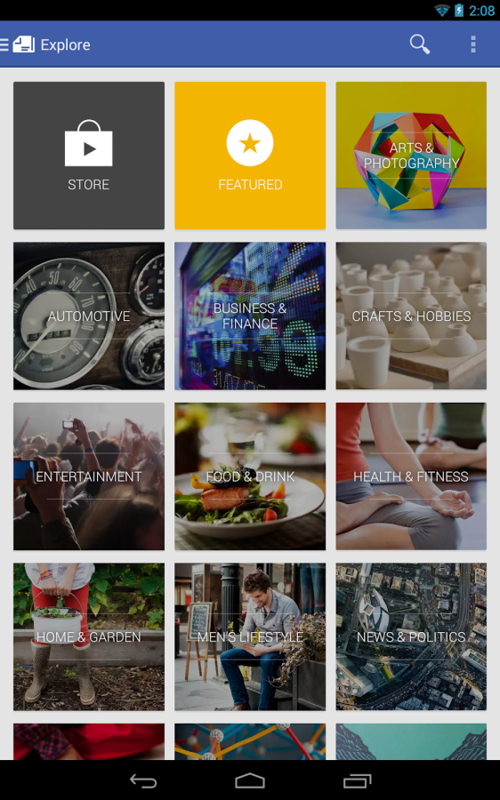 ASTRO is your one stop shop for everything stored on your phone and in the cloud. 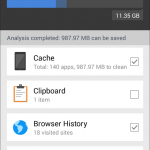 One of the best apps available for keeping Windows PCs clean and fast is CCleaner. Recently they released their Android app for beta testing. 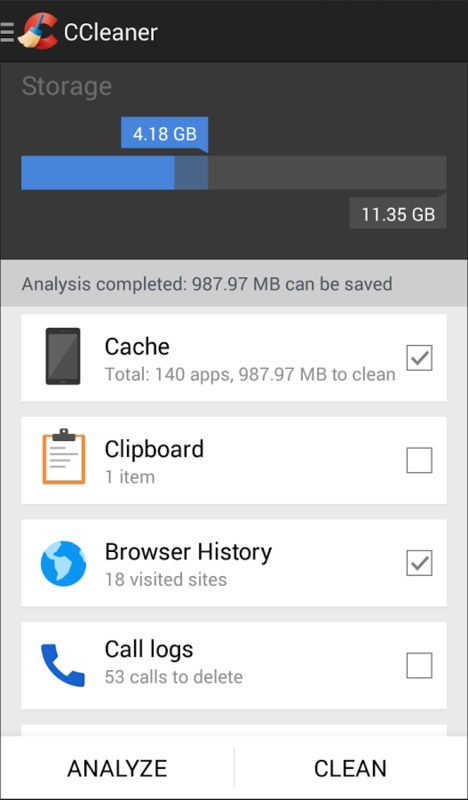 This app will optimize browser history, application cache and clipboard. Clean call logs and SMS messages individually, in bulk, by age or by contact. Reclaim storage space by quickly removing unwanted applications, and much more. Ever been at your PC and wished you could access something on your phone? 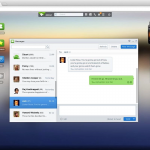 AirDroid does exactly that, and more. 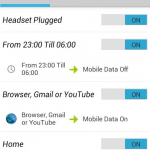 With this app you can see your Android device on the web with no USB cables required. Some of the things you can do include send and receive SMS, manage files, view photos and videos, set music as ringtones, and more. With Google Translate you can communicate with people from other languages in real-time. You can also translate real-world text into your own language just by looking at it through the camera. 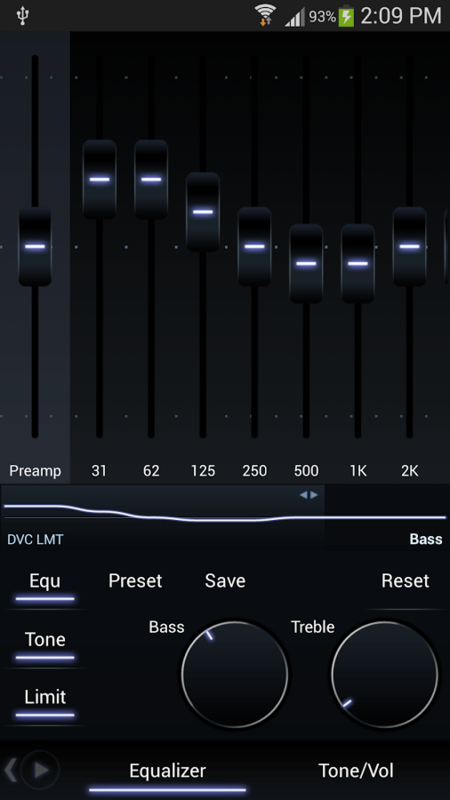 This is one of the most futuristic and crazy cool apps available. If you are someone who interacts with other languages often you need this app. 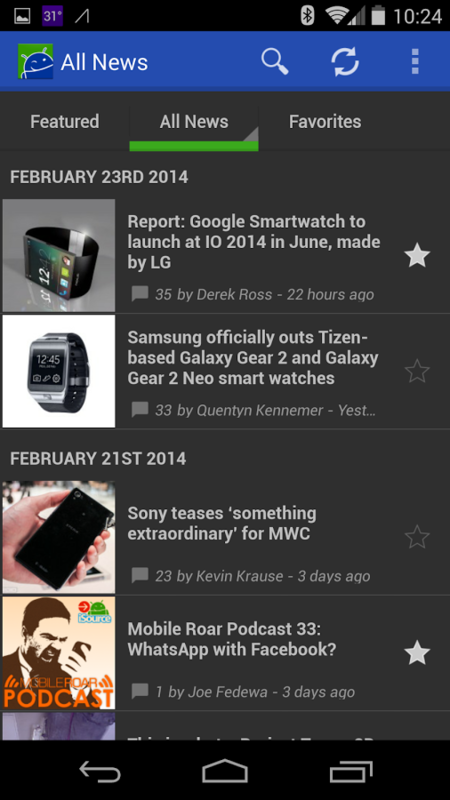 This handy app can curate news for you based on your interests, but also allow you to add your own sources. 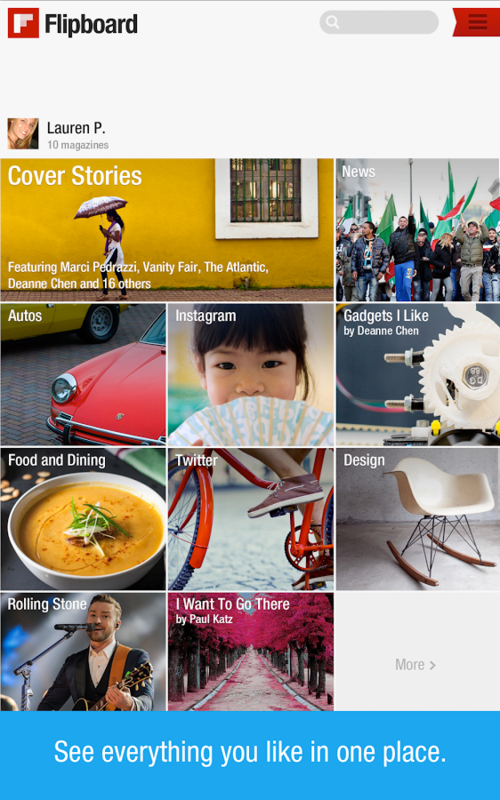 The best thing about Flipboard is the gorgeous design and beautiful animations. All of the content that you would normally find on the web is displayed like a magazine. Flipboard is one of the best ways to read the news. 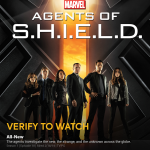 If you’re interested in reading actual magazines on your device Play Newsstand is worth a look. 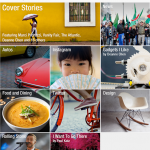 Google has thousands of magazines available for free and subscriptions. On top of that you can also subscribe to your favorite websites. All of your favorite magazines and websites can be read in the same place. It doesn’t get much more handy than that. When you spend a lot of time on the web there is almost too much interesting stuff to read. It can be hard to keep up and remember the stuff you wanted to read later. Pocket is a great service that allows you to save things for a later time. Everything that you add to your Pocket will be waiting for you on your Android device. Read on your own time. 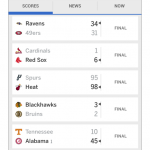 If you’re a sports fan you know how important it is to keep up with the latest scores. ESPN ScoreCenter is the best way to track your favorite games, teams, sports, and events. 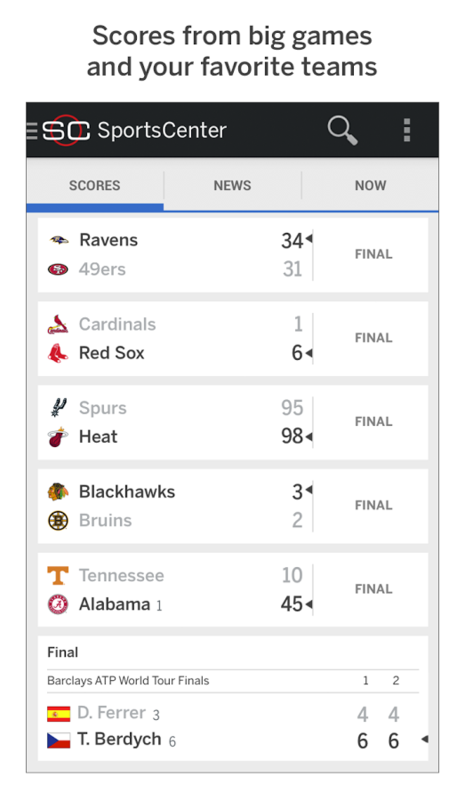 ScoreCenter boasts a collection of sports that you won’t find in other apps, including the INDY 500, Brazilian soccer, and more. When you need sports coverage go to the sports leader. 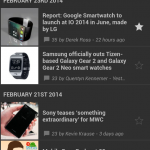 Now that you have an Android device you will want to keep up with Android news. The best way to do that is with our very own app. We cover all the breaking news, review the top devices and apps, and create original content all the time. 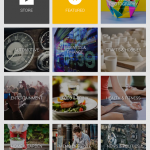 Our app has an easy to use UI, customization features, and the ability to comment on articles. Don’t miss anything that happens in the Android world. Sick of dealing with your carrier’s over-priced SMS plans, clanky voicemail services, and no cloud support? Enter Google Voice. With this app you get a brand new phone number that you can use to send calls, receive calls, send texts, and listen to voicemails. 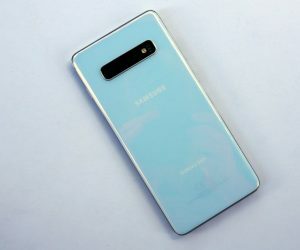 The best part is that it doesn’t require an SMS plan, and all of your messages and call history can be accessed on the web. 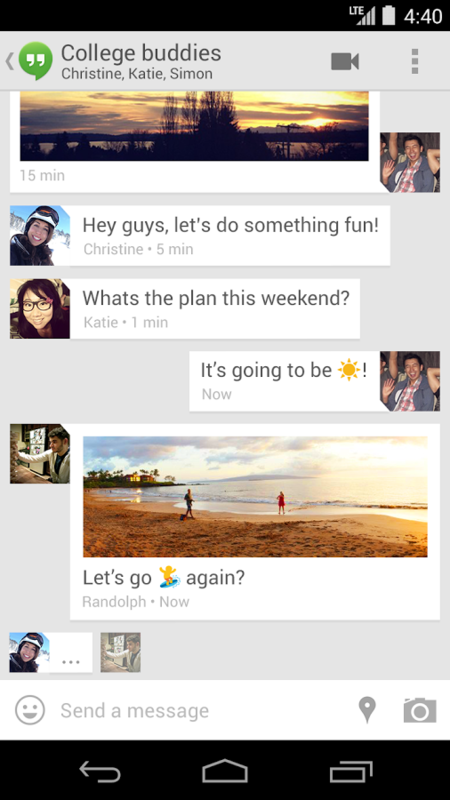 RIP Google Talk, hello Hangouts. 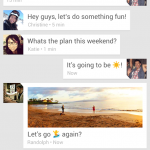 This is Google’s own app for instant messaging and SMS. 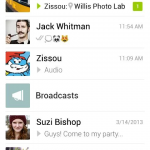 Hangouts allows you to send messages to Google contacts, and also do video and voice calls. 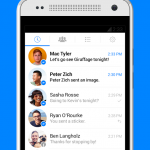 If you use this app on a phone you can also make it the default app for sending and receiving SMS messages. 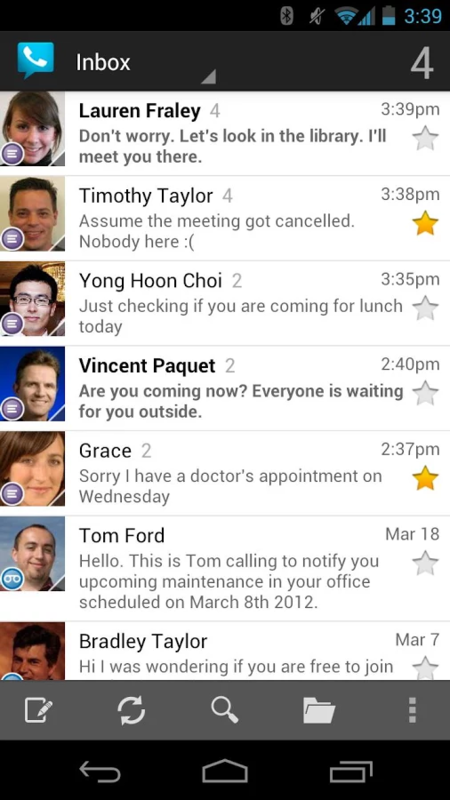 It’s very handy if you are constantly switching between SMS and IM. Everybody is on Facebook. That’s just a fact in today’s world. 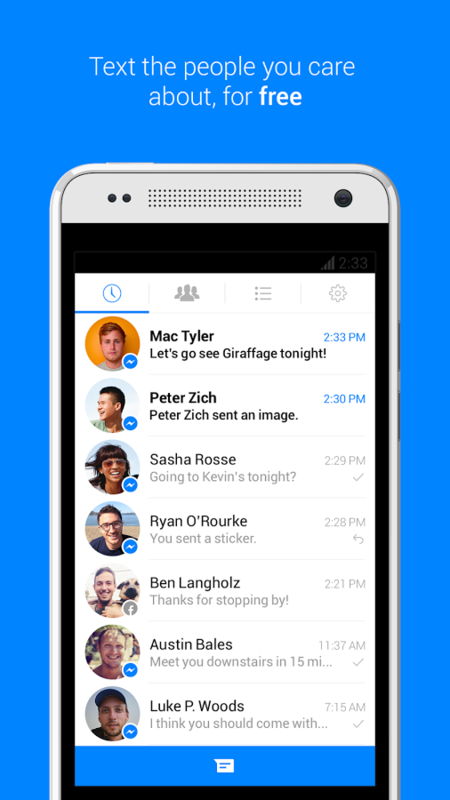 Facebook Messenger allows you to easily talk with all of your Facebook friends. 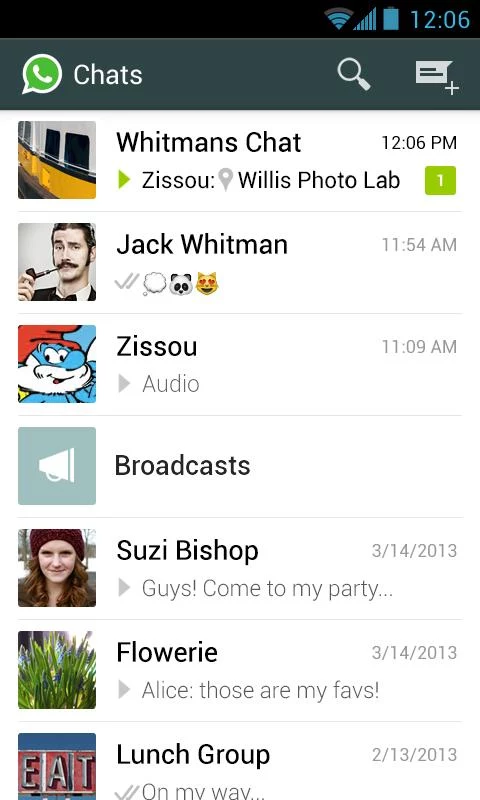 You can do group chats, send fun stickers, do voice calls, and much more. On Android you can use a feature called “Chat Heads” which will put your conversations in easy to access bubbles on top of other apps. It’s very cool. It may not be super popular here in the US, but in the rest of the world WhatsApp is the king of messengers. What makes this app so great is how easy it is to use, and the fact that it’s available on almost every device. WhatsApp uses your mobile number to find friends. After that it simply works. Millions of people around the world use WhatsApp as their only form of communication. Will you join the fun? If you do any amount of emailing, which is probably a lot, you use Gmail. Google’s email service has quickly become one of the most popular on the planet. 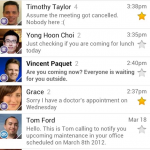 Google’s own Gmail app for Android is easily he best way to access your account. 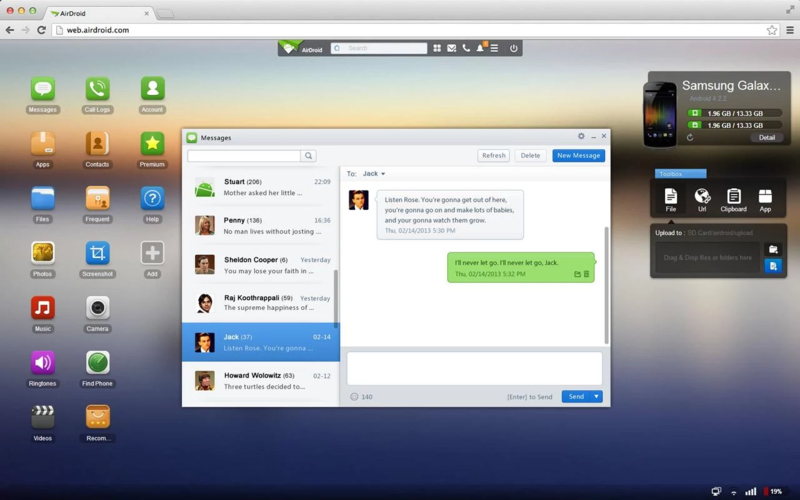 It has all the features you’ve come to love from the web version, and more. This app comes pre-installed on many devices, so check to see if you have it. 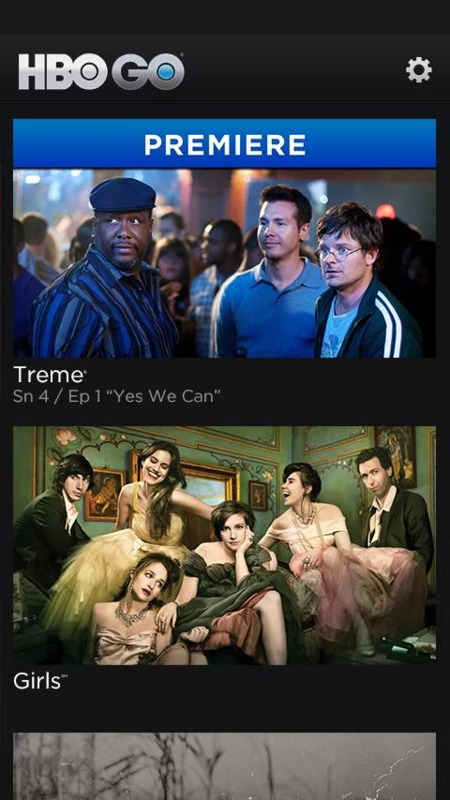 If you’re a Netflix subscriber you need the official Android app. 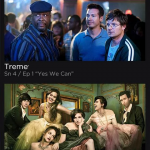 With this app you can binge watch all of your favorite shows from anywhere. 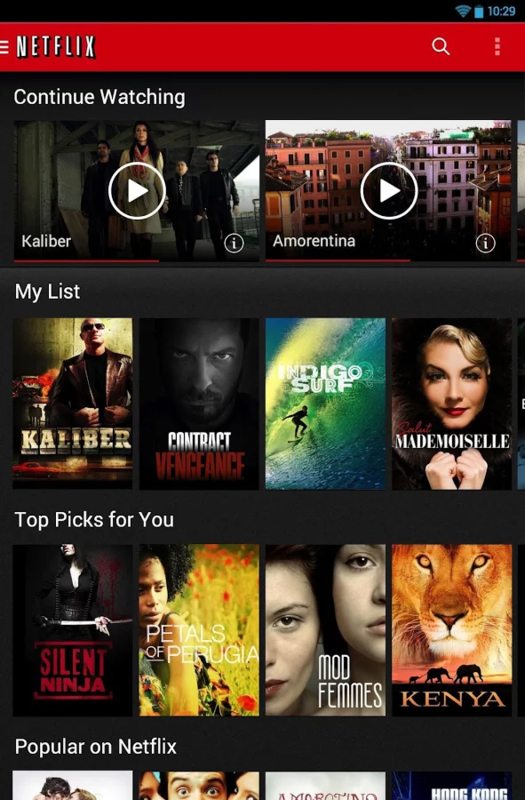 Netflix for Android also has support for the Chromecast, which allows you to watch it on your big screen TV. Game of Thrones, Eastbound and Down, Boardwalk Empire, and Veep are just a few of the excellent shows on HBO. 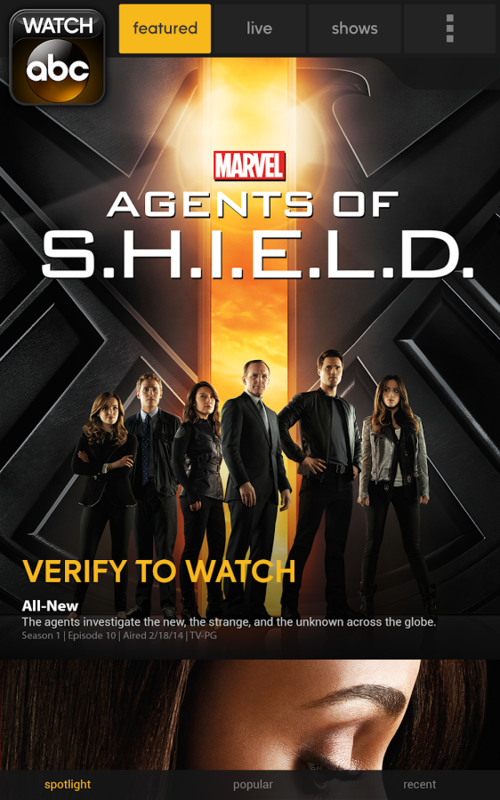 If you are a subscriber you need the HBO GO app for Android. 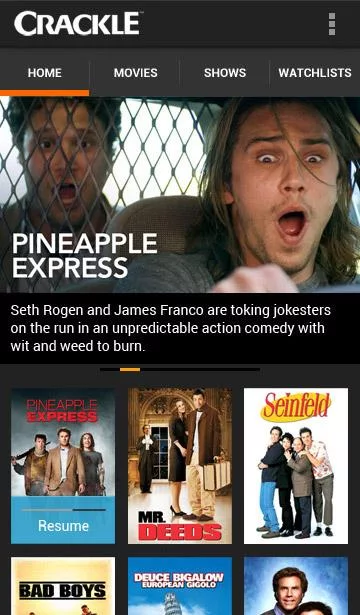 Keep up with all your favorite HBO shows from anywhere you can get an internet connection. The only way to avoid spoilers is to stay up to date. Spotify has one of the biggest libraries of music available. 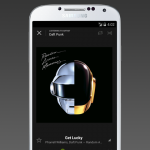 The Spotify app for Android even has free radio-like streaming, but with a paid subscription you get access to tons of music. You can even listen to albums the same day they get released. For the music lover this is a real bargain and a great app. For the casual music lover there is Pandora. This app has been around forever, and it still rocks. You can stream customized radio stations for free all day long. Stations can be fine tuned with favorite songs, genre, and you can tell it which songs to avoid. If you’re really into it you can even buy a subscription to avoid ads. 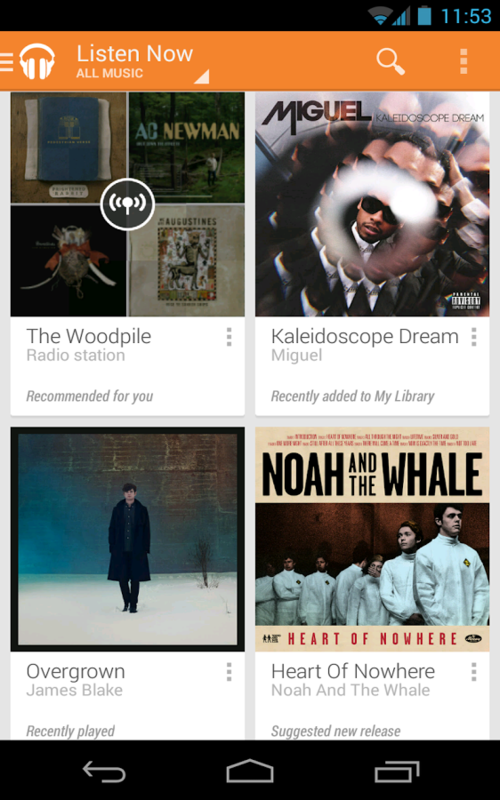 If you already own a lot of music, but don’t want to store it on your phone, Google Music is the perfect app. Google allows users to upload up to 20,000 songs to the cloud for free. These songs can be accessed on the web and anywhere you can install Google Music. 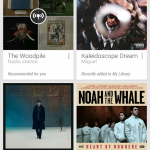 Plus, on top of that, you can buy music from the Google Play Store to add to your collection. 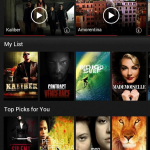 Not everyone is interested in streaming services and cloud storage. Some people just want to play the music they already own. 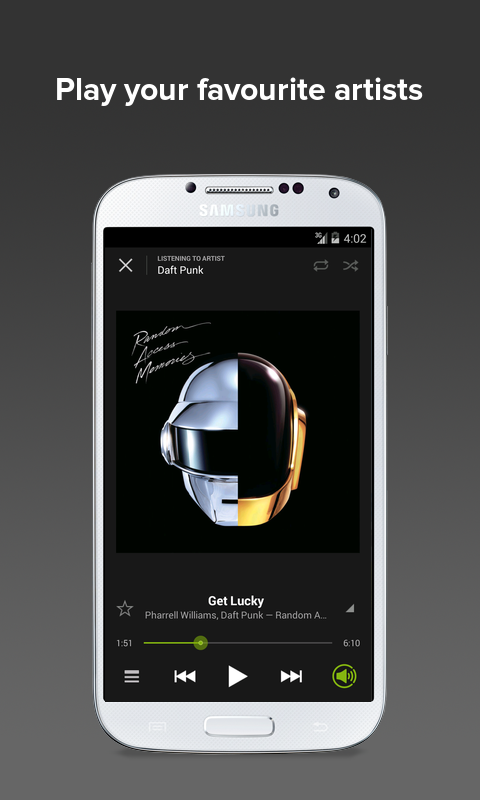 Poweramp is a full-featured music player for Android. It has tons of powerful features, but above all else it plays music in any file type you can throw at it. Which is an often overlooked feature in modern music players. 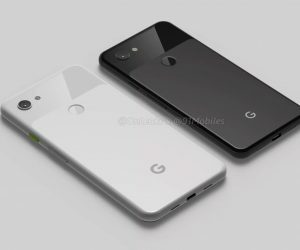 If you’re a new Android user you may be coming over from an iPhone. If that’s the case you might have a large collection of music in iTunes. 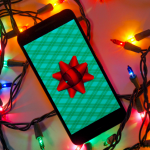 How do you get it on your Android device? AirSync makes this process very simple. This app will securely sync your Android device up with your iTunes library on Mac or PC. 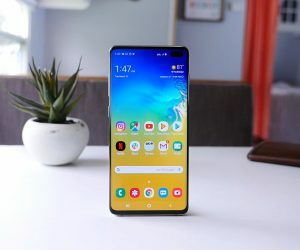 It can also allow you to AirPlay that music to connected devices. If Instagram doesn’t offer enough filters and effects for you, check out Snapseed. 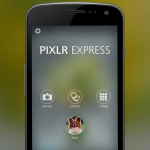 This Google-owned app has tons of amazing features for photo editing. Normally an app like this would cost at least a couple bucks, but remarkably it’s free. Take advantage of their generosity and make your photos look great. The best community for sharing photos is Flickr. This is where professionals share the photos they take. 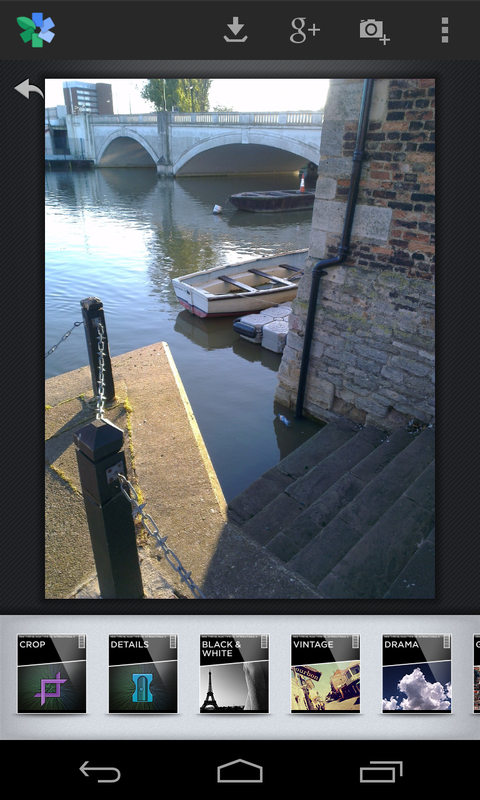 If you are into photography at a high level this is a great app to have. 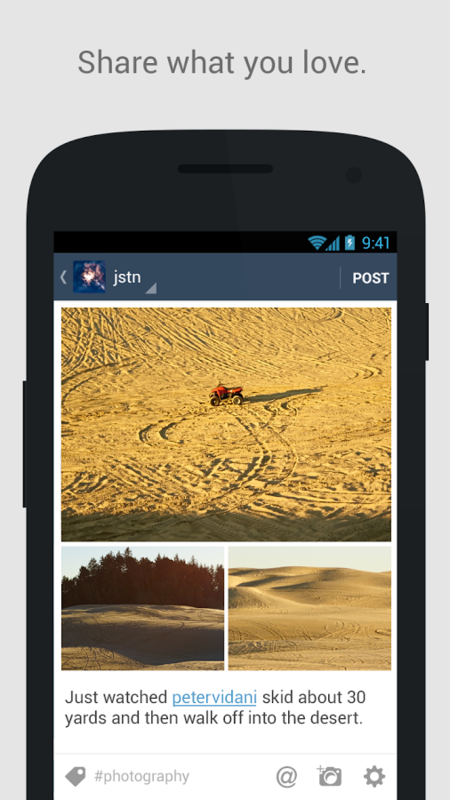 Upload your photos and get feedback from other users. 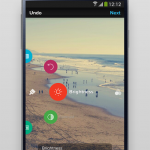 Plus, the app allows you to edit photos right on your Android device. 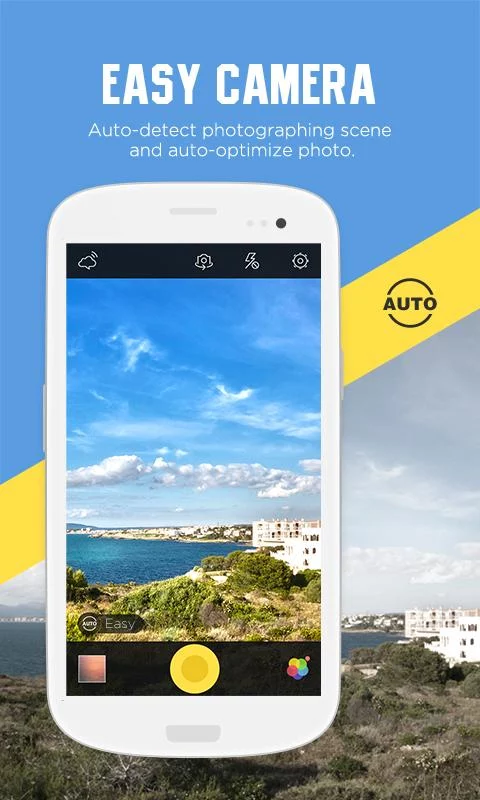 One of the highest rated photography apps in the Play Store is Camera360. This app can replace the stock camera app on your device. 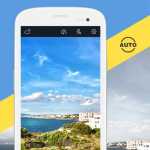 It offers tons of features you wouldn’t normally find in a camera app. 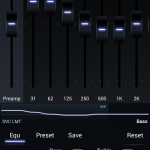 There is even an in-app store that allows you to purchase more filters and effects. Camera360 is your camera on steroids. 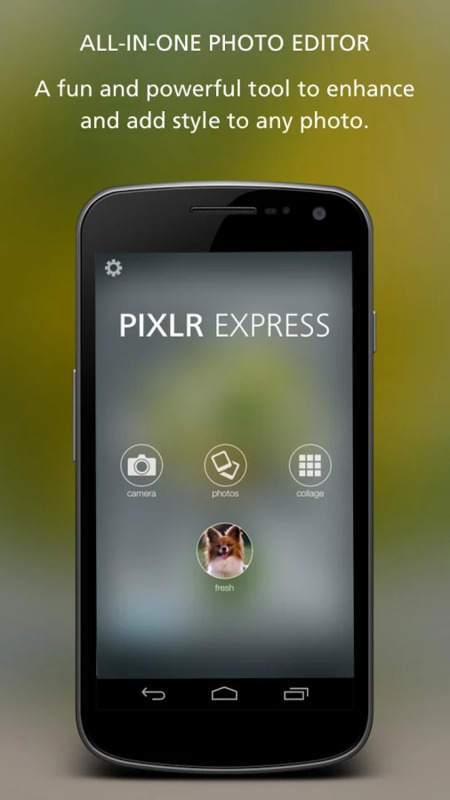 Pixlr Express offers many of the same features of other photography apps on this list. The one feature it is used for the most is collages. 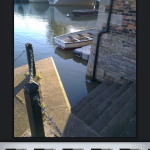 You can easily take several photos and put them in a beautiful collage. That collage can then be shared to your social network of choice. All of the other filters and effects works great as well. Some Android phones don’t have the best camera software. 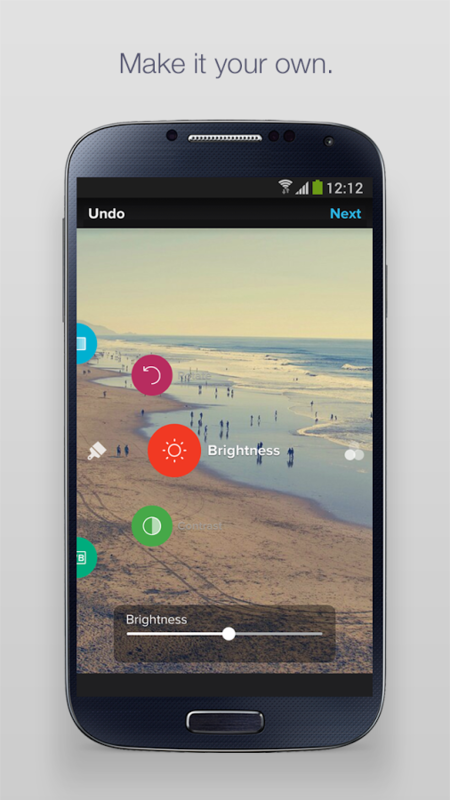 If you’re looking for a replacement Vignette is an app that has around for a long time, but keeps getting better. Features like retro filters, LOMO and toy camera styles, touch to focus, and easy photo editing make this a great app. Plus, Wil Wheaton is a user, so there’s that. Phew. 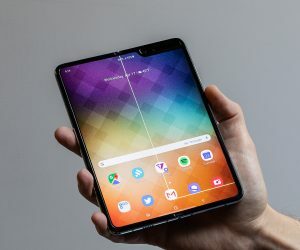 That’s a lot of apps. 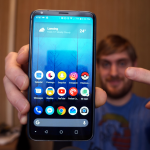 If you download a few of these apps you will be on the right track to having a great experience with Android. 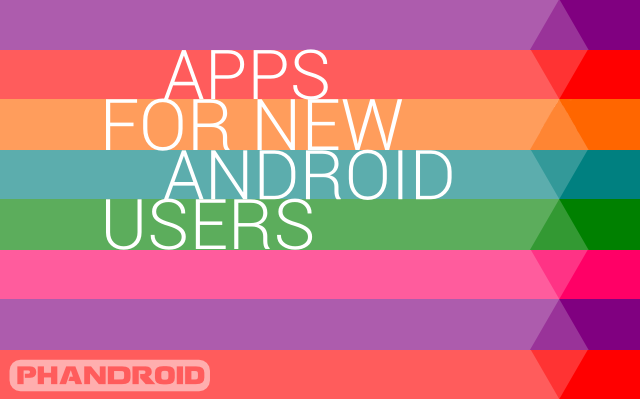 If you’re not a new Android user let us know what apps you think new users should download. Together we can make sure new users know what to do.